Limbo Giant Garden Game - Bouncy Castle Hire 4 Kettering, Corby, Wellingborough, Rushden, Raunds, Rothwell, Desborough, Market Harborough, Adult Castle, Slide, sumo wrestling, Sumo, Crazy Games, Giant Garden Games, Northamptonshire. Our inflatables are ideal for kids parties, adult parties, Garden Party and a corporate or business event. Large and small events are catered for and we are fully insured. We offer cheap and discount prices in school holidays and for larger events. 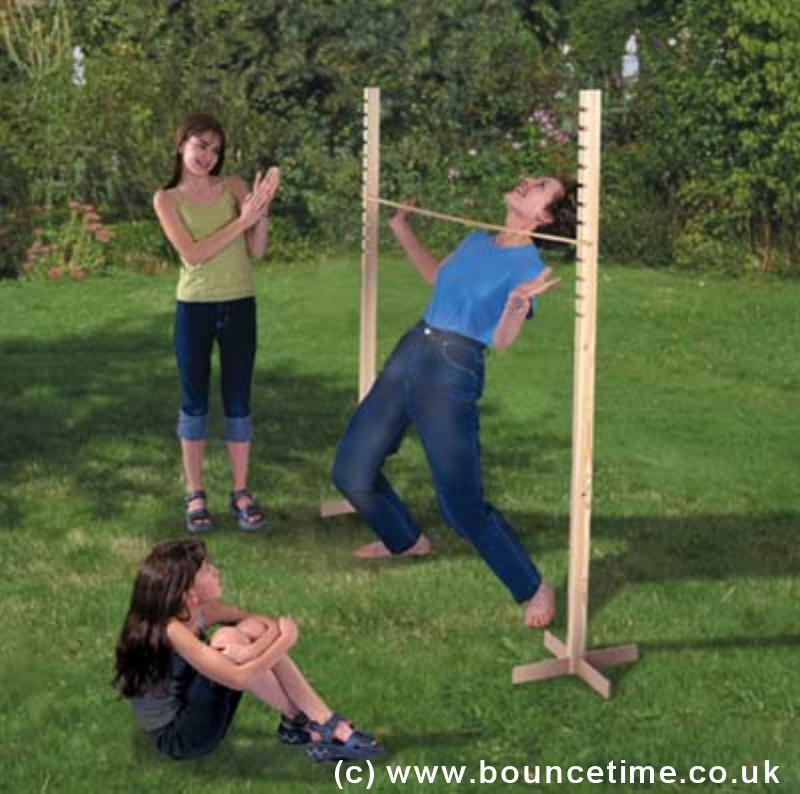 RTake on family and friends with the party game of Limbo. Loosen up and limbo down as a low as you can go. Keep lowering the beam until only the most bendy person - the winner - is left!